i blame you, originally uploaded by unpop. One of a series picked up from 50p Badges. 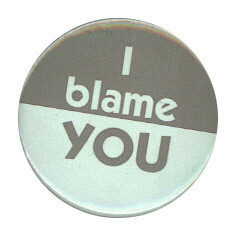 Is the design based on New Labour badges from the nineties?